The Former Chief Minister of Andhra Pradesh and former Governor of Tamilnadu K.Rosiah released " Sublime " - The Biography of eminent industrialist and academician Prof.P.R.Ramakrishnan written by Nanditha Prasad at the Coimbatore Institute of Technology on the 12 th of February 2017. While speaking at the release K.Rosiah stated, " I remember the family of Prof P.R.Ramakrishnan from the year 1950 onwards. I visited Coimbatore and got an oppourtunity to know them because of the veteran parliamentarian Prof.N.G.Ranga and have observed the contribution of their family to our nation from those times. Both PRR and his son R.Prabhu have served the nation as forward looking parliamentarians. His wife, Srimathi Rajeswari Ramakrishnan has been a beacon light all along and she happens to be an eminent citizen." Rajeswari Ramakrishnan addressed the gathering and she claimed their attention with her remarkable style, " My husband was a great visionary and I have seen much of the world in his company. I learnt much while spending time with him in the USA while he was pursuing his Management programme at the Sloan School of Management. He was a gentle man who wished well for everyone." Dr.G.Bhaktavatsalam , the Chairman of KG Hospital drew the attention of the gathering with his frank opening, " Prof PRR was a great man and his better half Rajeswary Amma was behind his success. Those were the times when Coimbatore was coming up in a big way and he played a big role. Many students of CIT have done well and the current Tata Sons Chairman Chandrashekaran is an alumnus of Coimbatore Institute of Technology founded by PRR. Even Prof.Rudramurthy the Principal of PSG College of Technology was an alumnus of this pioneering college. " Prof Guruswamy, the Former Principal of CIT addressed the gathering, " I was associated with Prof PRR was about five decades of my life and he was a marvellous person. He was a role model for engineering educators. The author of his biography , Nanditha Prasad is his grand daughter and happens to be an alumnus of CIT. She has really brought out the text well. I appreciate her maturity and skill whole heartedly. " It was interesting to observe Prof Guruswamy blessing the gathering and this gesture was appreciated by one and all. Venus Mani of the Congress Party and T.Venugopal who had been with Ramakrishna Industrials addressed the gathering in an appropriate manner. A number of academicians and eminent citizens were present on the occasion and they included C.R.Swaminathan ( President - RAAC ), Manorama Mandradiar ( VCV Sishu Vidyodaya ), Sujani Balu ( President - RANA ), Lakshmi Venkataramachandran ( Past President - Crafts Council ot Tamilnadu ), E.Ranga Rao ( Ramalakshmi Mills ), V.Ravichandran ( Trustee - Karivaradaraja Perumal Temple , Peelamedu) , Prof Prabhakar, Prof V.G.Pandarinathan , Sunitha Venkatkumar ( Venkatalakshmi Higher Secondary School )and Kiran Rao ( KCP Sugars ). 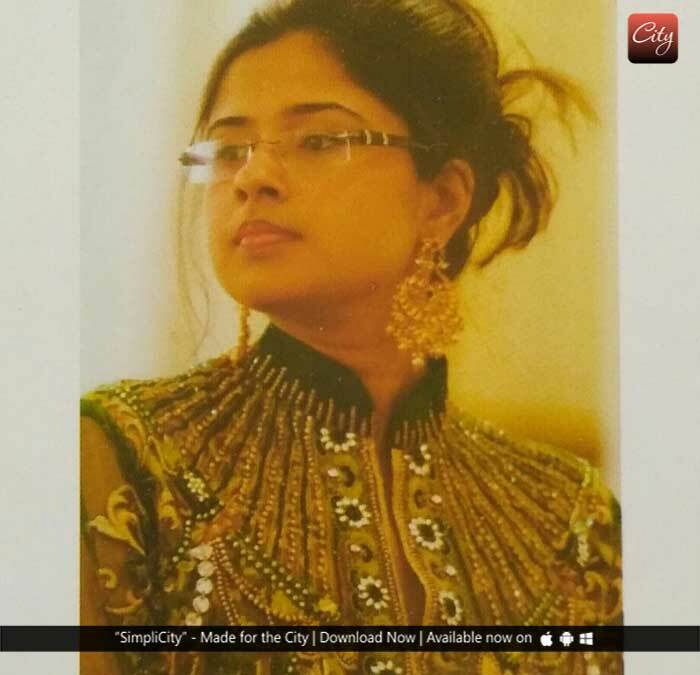 "SUBLIME" has been finely crafted by PRR's grand daughter Nanditha Prasad. She calls her dear grandfather as the " Prince of Peelamedu " . Its interesting to note that she has interviewed a number of elderly people from Peelamedu in order to complete her research for the book. Its a well known fact that PRR was an eminent educationist,businessman, parliamentarian,Rotary Governor among other things, however its fascinating to learn that he was responsible for designing a washing machine and wet grinder for his household over 60 years ago. A number of pictures of the handsome PRR and his aristocratic spouse Rajeswary add lustre to the book. We get to learn about the industrious nature of PRR's parents V.Rangaswamy Naidu and Chinnammal who did much for Peelamedu. 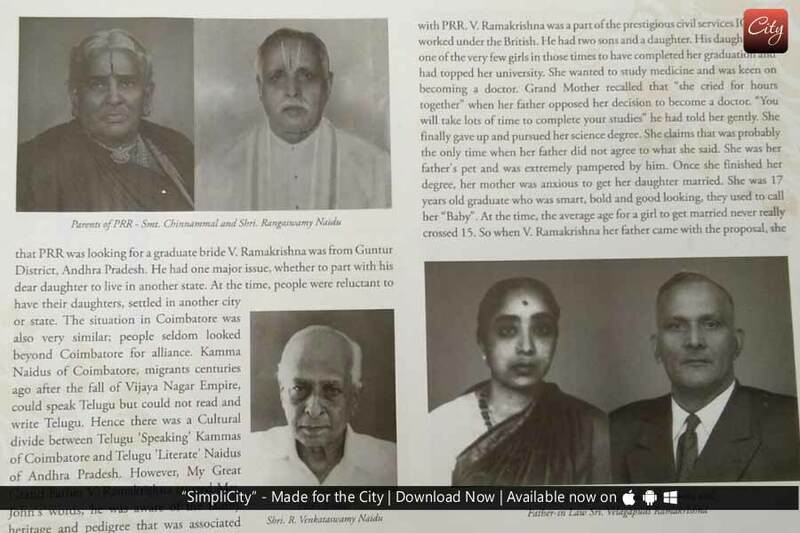 The book shares the fact that the Rajagopuram of the Peelamedu Karivaradaraja Perumal Temple was designed and constructed by PRR and his elder brother R.Venkataswamy Naidu. The encomiums received from K.Kamaraj for the Nava India newspaper has been well recorded. 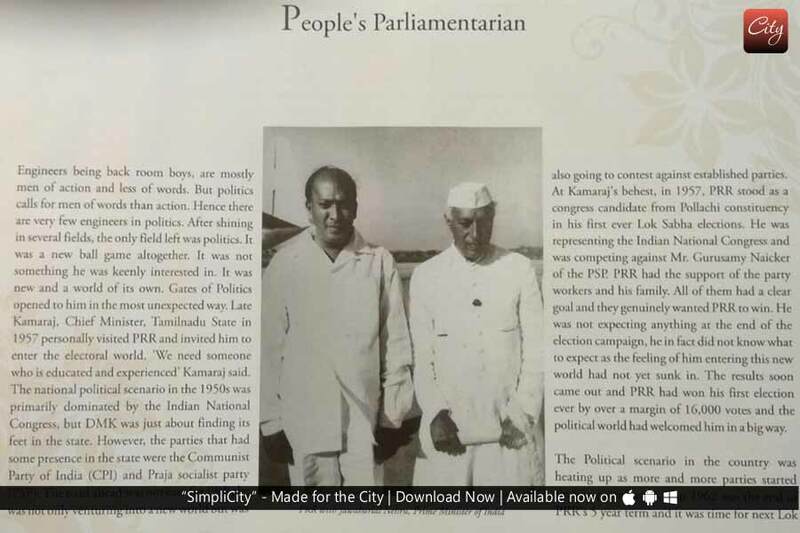 The old pictures show PRR's association with a wide range of people who included Pandit Nehru, Dr.S.Radhakrishnan, C.Subramaniam , A.L.Govindarajulu, S.Ramaswamy, P.A.Raju Chettiar, George.M.White ( The Architect of the Capitol at Washington DC ), AL Mudaliar, GD Naidu, Dr.M.Viswesvarrayya,EVR . Periyar, G.R.Govindarajulu, G.K.Sundaram,Prof P.R.Ramaswamy, Prime Minister Lal Bahadur Sastri among many others. The young author Nanditha Prasad further shares details about her grand father. 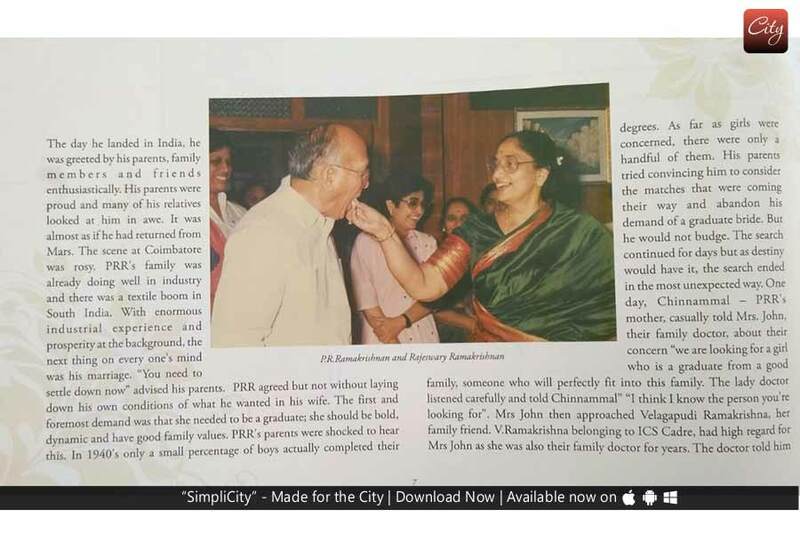 Its through her we get to learn that PRR's father in law, V.Ramakrishna ICS was advised and motivated by him in a big way. Later on V.Ramakrishna established a number of businesses in Tamilnadu and Andhra Pradesh. All the sons of PRR, R.Prabhu, R.Baba Chandrasekhar and Dr.SRK.Prasad, the Correspondent of CIT have had fabulous academic credentials. PRR and his third son Dr.SRK.Prasad have been concerned with Operations Research in a big way in our country. Nanditha Prasad further shares that PRR used to visit and advise the Heavy Industries during the tenure of the Heavy Industries Minister, C.Subramaniam. Its interesting to learn that the wise P.R.Ramakrishnan quit active politics at the age of 50 and decided to work for the betterment of industry and education.The time of his quitting coincided with the degradation of public life in our country.Former President Dr.APJ.Abdul Kalam was all praise for Prof.P.R.Ramakrishnan on the occasion of the Golden Jubilee of CIT in Coimbatore. If Coimbatore is on the technical education map of the world, it is due to the good work of her great sons like Prof.P.R.Ramakrishnan.